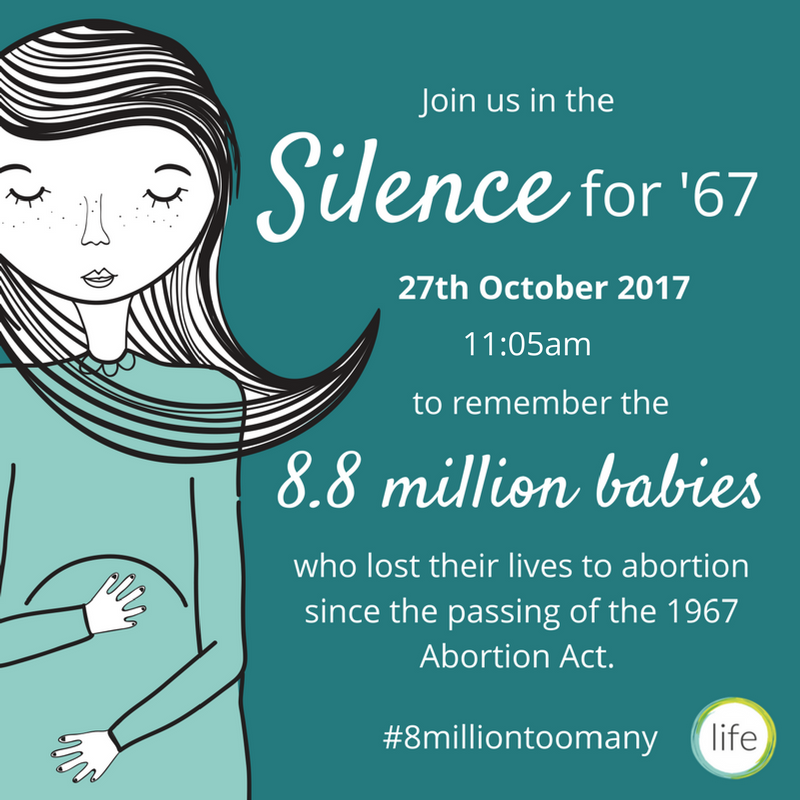 In remembrance of the 8.8 million babies whose lives have been taken by abortion since the passing of the 1967 Abortion Act, we will be holding a minute’s silence on Friday 27 October 2017. The Abortion Act was passed on 27 October 1967 at 11:05 am. This is when we will begin the silence. We will meet at 10:30am at Old Palace Yard (next to Parliament) and will hold the minute of silence at 11:05am. Life staff and volunteers will be leafleting at tube stations around London that morning. If you would like to take part in leafleting, please email claracampbell@lifecharity.org.uk. For the Parliament event, confirming attendance is not mandatory, but it would be helpful if you can confirm your attendance so we have an idea of numbers by RSVP using this eventbrite event. 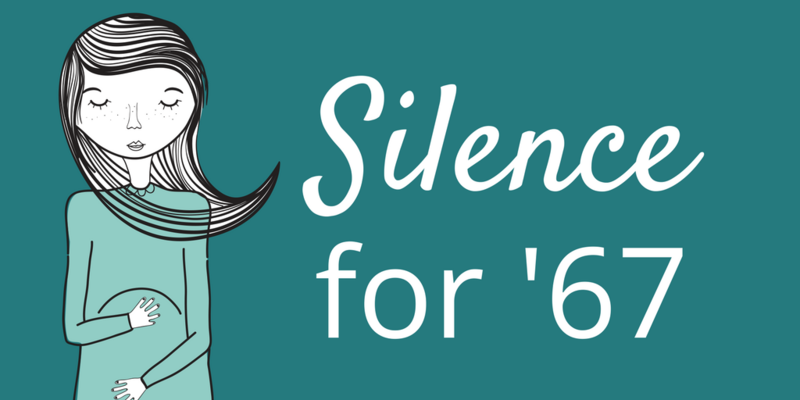 Ahead of the event, we encourage you to change your profile picture using our official 50th anniversary twibbon filter on social media and let people know you will be taking part by sharing our Silence for ‘67 image to your social media feed (see bottom of this page). This will help us ensure as many people as possible are aware of this important commemoration. If you are unable to attend the Parliament event, but would like to solemnly commemorate the 8.8 million babies who have died, then we urge you to observe the minute silence either at home or in your workplace. Ahead of doing your minute of silence,we encourage you to change your profile picture using our official 50th anniversary twibbon filter on social media and let people know you will be taking part by sharing our Silence for ‘67 image to your social media feed (see bottom of this page). This will help us ensure as many people as possible are aware of this important commemoration. You can add our 50th anniversary twibbon to your social media profile picture here.